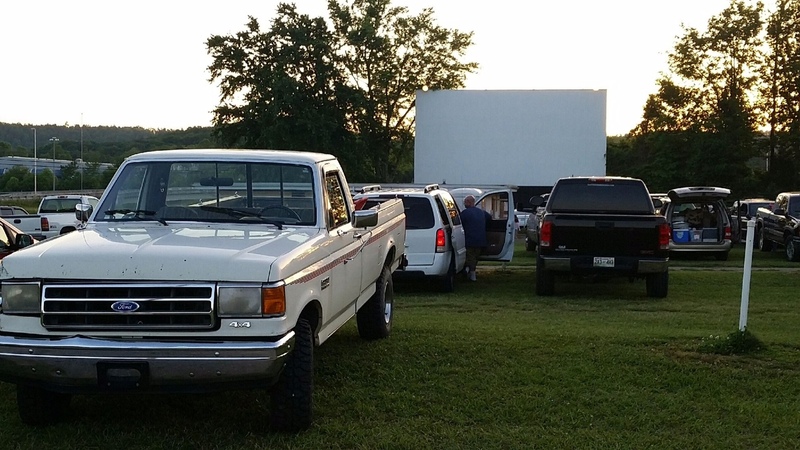 Did you know that less than two percent of all movie screens in the United States are at drive-in theatres? That’s fewer than 400 total, in all fifty states. But did you also know that in the late 1950s– when drive-in movies were at their height of popularity—some 4,000 of them dotted the countryside? Back in those simpler times, one-fourth of all movie theatres were drive-ins. A combination of factors, including the rise of suburban multiplex indoor theatres, home entertainment options that included color TVs, VCRs and video rentals and the widespread adoption of daylight saving time, which made the summer twilight start for drive-in movies very late. By the late 1980s, fewer than 200 drive-ins were in operation in the United States and Canada. The Putnam Drive-In, built in 1952 and located on West Broad Street, fell victim to the axe. It closed in 1987and was eventually demolished. Luckily, the same thing didn’t happen in White County. The Sparta Drive-In, owned by C.C. Walling and J.S. Cardwell, opened for business in the late 1940s. It was eventually sold to Mid-Tennessee Amusement Company but bought back by the Cardwell family in 1972. J.S.’s son Ross, his wife Brenda and their two daughters managed and worked at the drive-in from 1963 until 1987, when it closed. The bulldozers, thank goodness, were never called in. In 2002, the lovingly restored Sparta Drive-In re-opened and has been operating during warm weather months ever since. I saw a movie there for the very first time just two weekends ago. It was a memorable experience for a number of reasons, the first being that I got to see “The Jungle Book.” Which was wonderful. But the movie wasn’t even the best part. I was invited to the show by a group of friends from White County that included—drumroll, please!—Ross and Brenda Cardwell themselves. They still own the theatre but lease it to Tommy and Judy Brown. The Cardwells are full of stories about decades of good times at the drive-in. Station wagons filled with pet dogs and with little kids dressed in pajamas. Popcorn and bottled Cokes purchased, along with movie tickets, from the convenience of your car. And, of course, teenagers trying to slip in without paying. Decades later, that wholesome family atmosphere still exists at the Sparta Drive-In. There’s a playground in front of the screen. Blankets and beach towels dot the lawn. The concession stand sits near the front of the parking lot and is one of the best bargains around. A large soft drink costs $3.00, a gigantic bucket of popcorn just $6.00. Candy and ice cream are $2.00. Compare that to multiplex refreshment prices, if you dare. My favorite item on the menu? The four dollar-cheeseburger. Mainly because of the addendum that says YOU CAN REQUEST CHEESE BE LEFT OFF. And, yes, patrons still back pick-ups into parking spaces and set up folding chairs in the truck bed. Then they wait for the sky to grow dark enough for the movie to begin. What could be more nostalgic, or fun, than that?